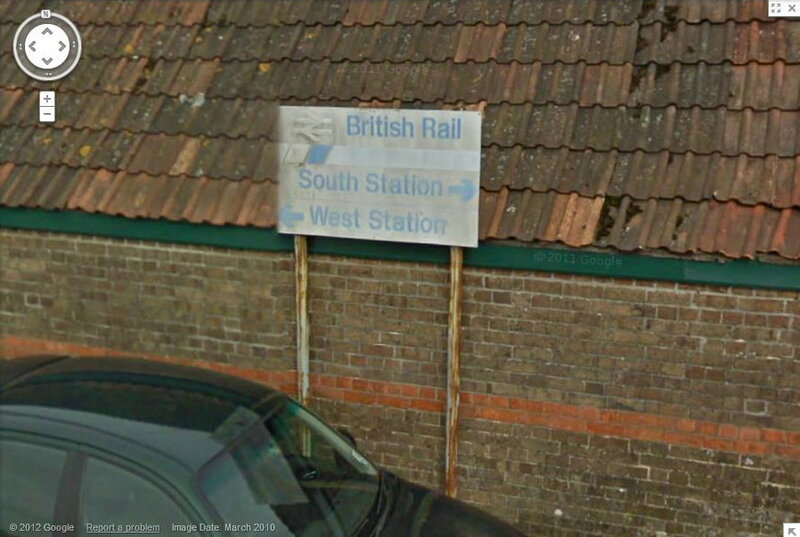 'Google Streetview' captured this NSE branded sign for this Dorset Station in 2010. 'Dorchester Stations' sign, captured on 'Google Streetview' in MAR 2010..
A Network SouthEast Survivor on the Fen Line ​at this Norfolk Town. 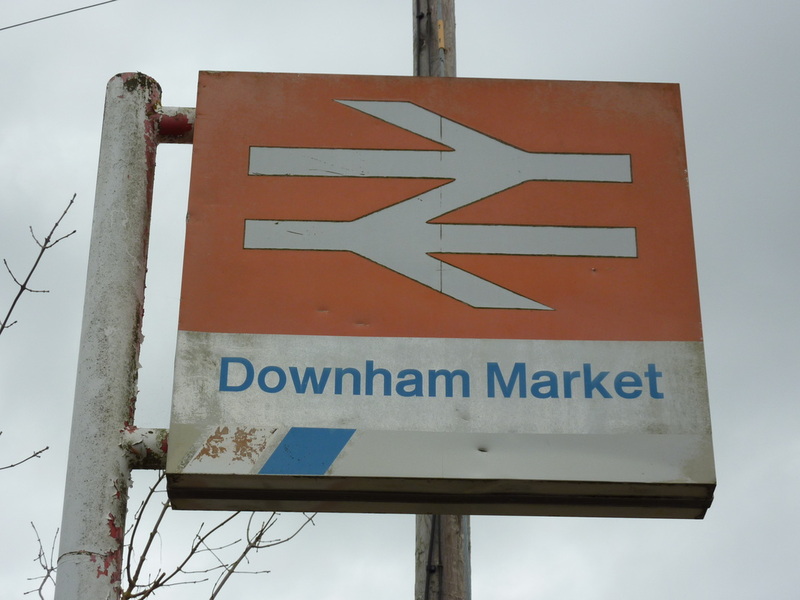 Downham Market Station Sign. PHOTO TAKEN: 23 SEP 2012. This GWR station on the Greenford Branch has a Network SouthEast Sign still present. 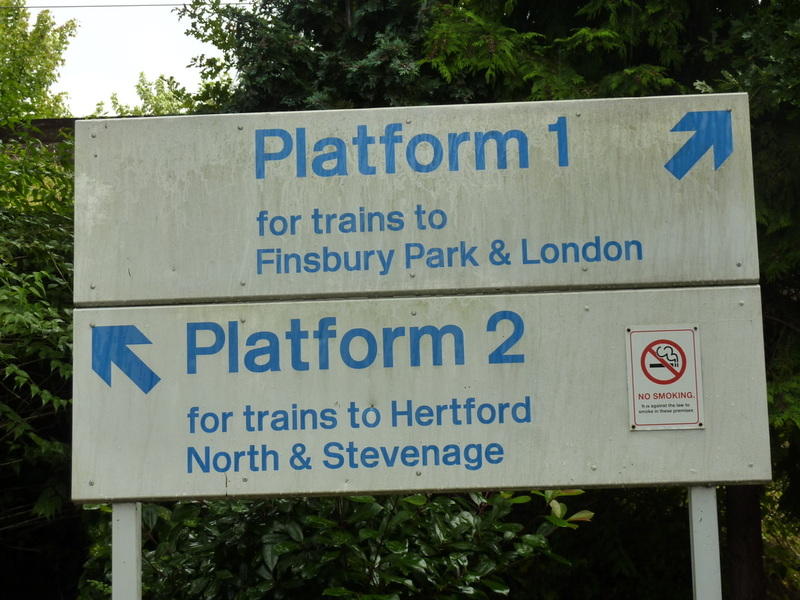 Drayton Green Station Platform direction sign. PHOTO TAKEN: 25 SEP 2012. Network SouthEast sign situated outside this ​Great Nothern Line Station. 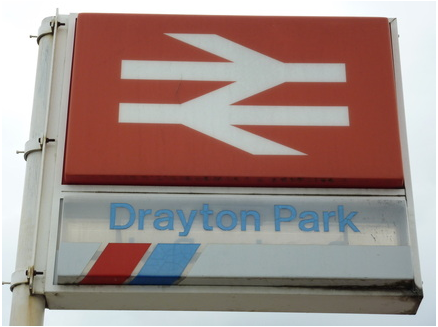 Drayton Park Station Sign. PHOTO TAKEN: 16 JUN 2011. 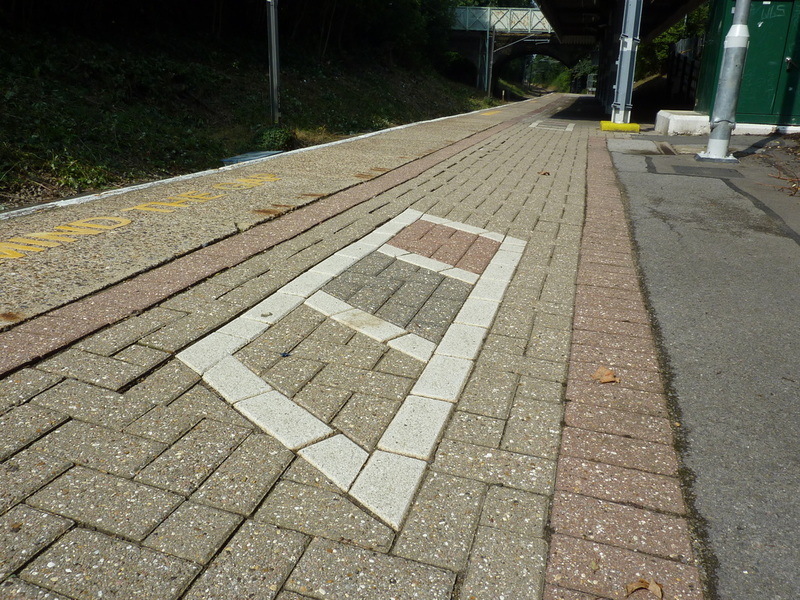 Still highly present are the NSE logo's in the block paving on this single platform at this station. 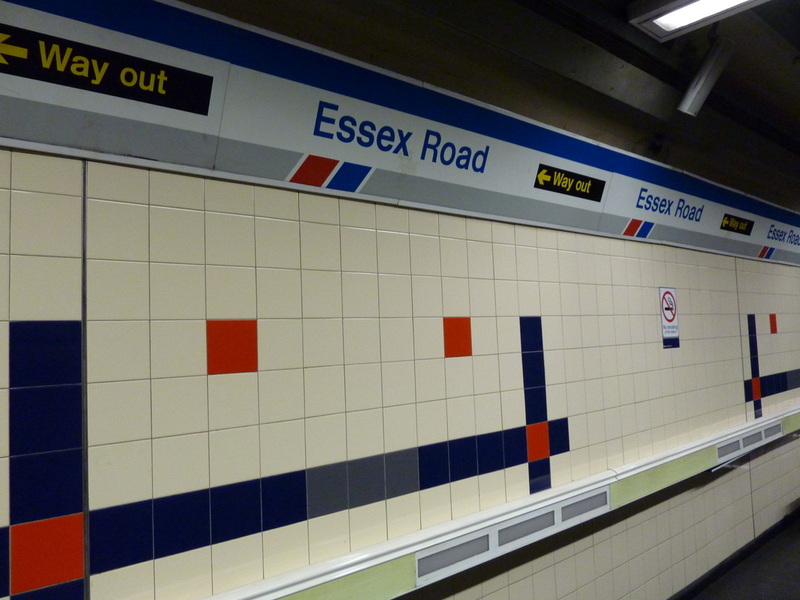 NSE block paving at Emerson Park Station. PHOTO TAKEN: 23 AUG 2013. The platform on this station seems very much unchanged since its NSE days. Essex Road Station Platform towards Moorgate. PHOTO TAKEN: 16 JUN 2011. 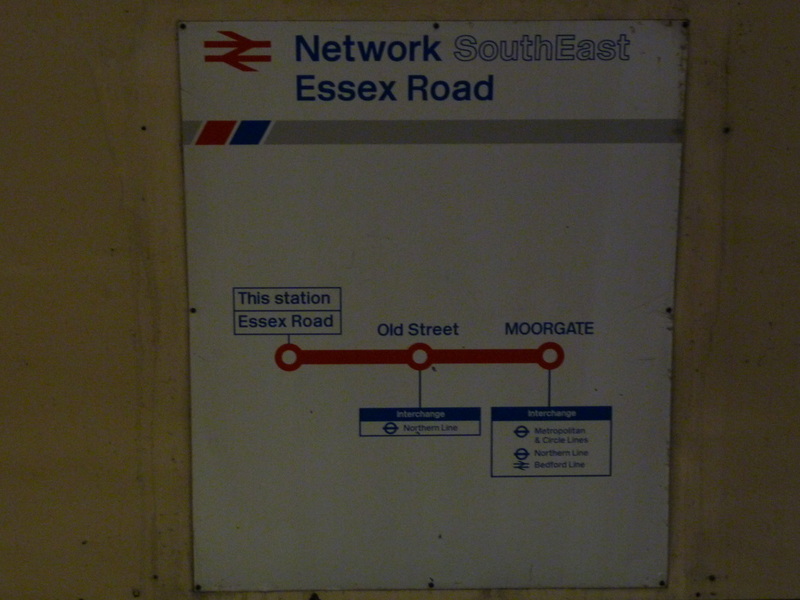 Essex Road Station Platform Route Map towards Moorgate. PHOTO TAKEN: 16 JUN 2011. 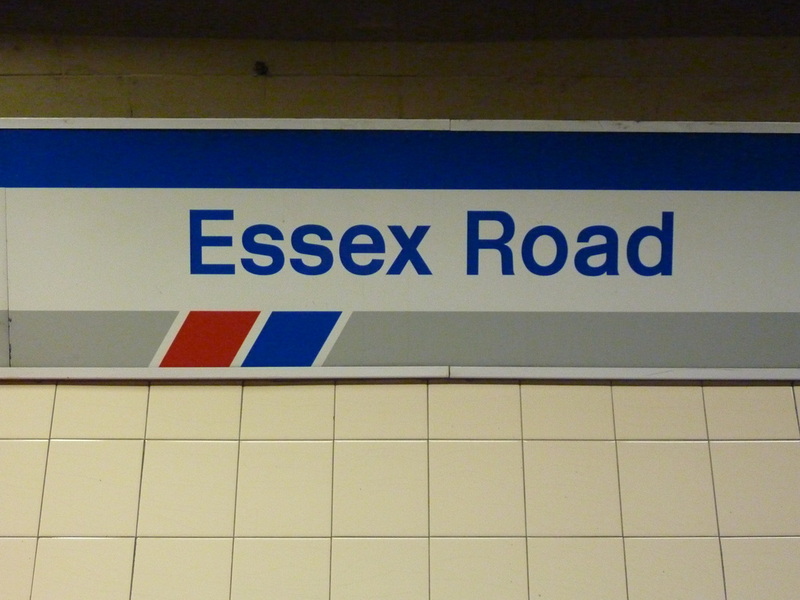 Essex Road Station Sign. PHOTO TAKEN: 16 JUNE 2011. 'Folkstone Central Station' tower with NSE logo, captured on 'Google Streetview' in JUL 2009. 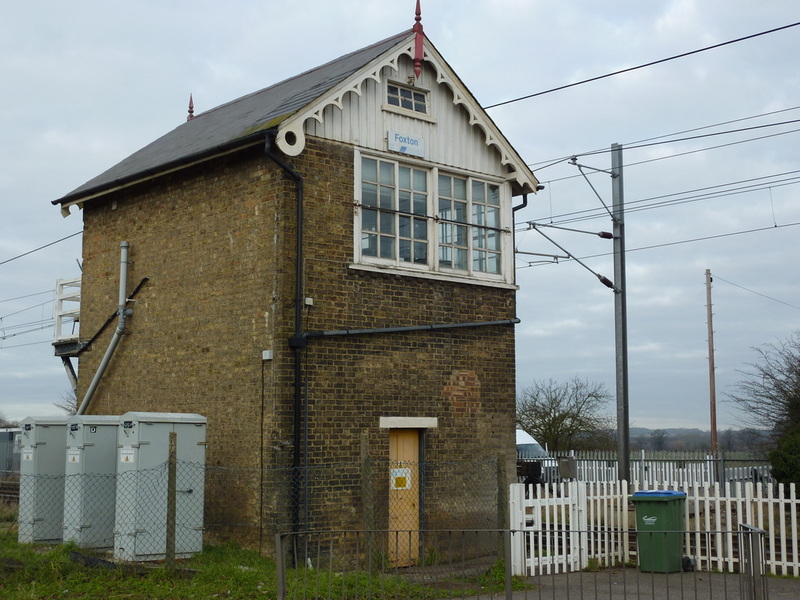 Located 1 stop south of Cambridge Station, this signal box still has a NSE nameplate in place. 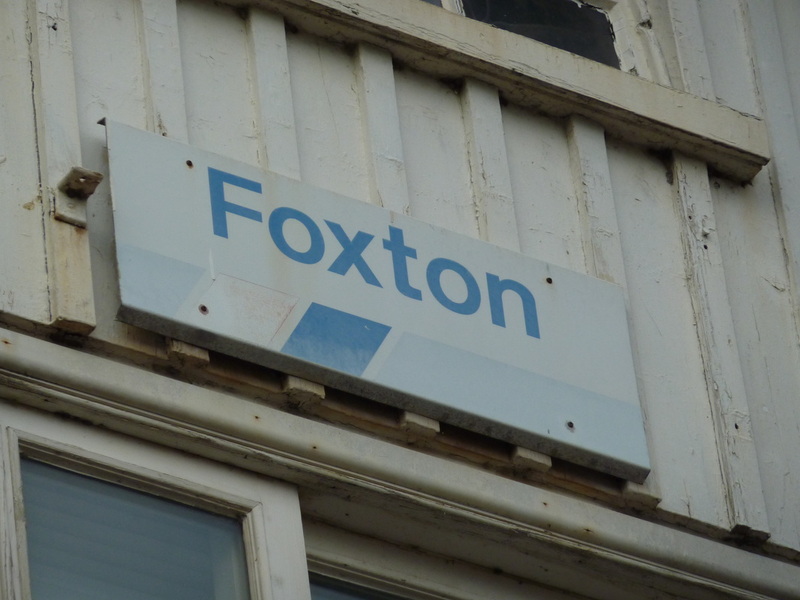 Foxton Signal Box. PHOTO TAKEN: 16 FEB 2013. 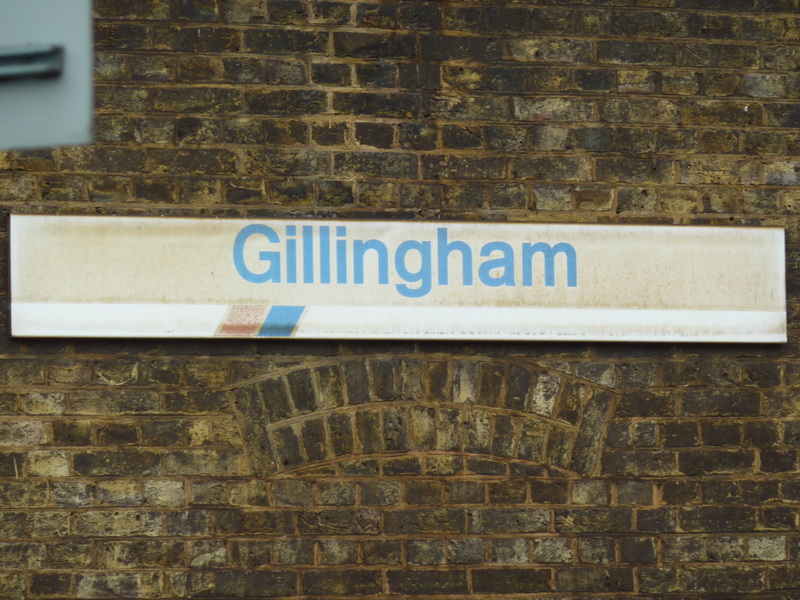 The NSE Station Sign is still in place at this location, at least on one side - with the reverse having its NSE flash covered with GREAT EASTERN Branding Green/Blue. ​Also NSE clocks still appear on the platforms, minus their NSE flash. 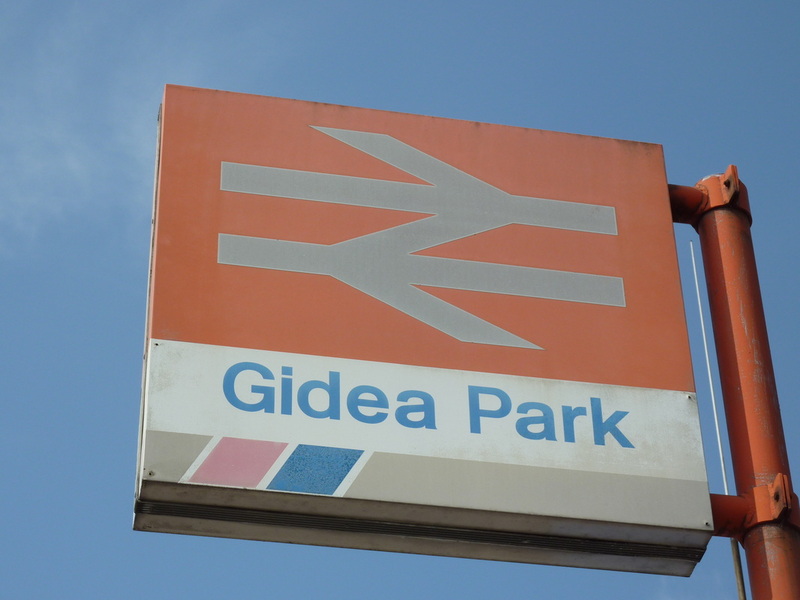 Gidea Park Station Sign. PHOTO TAKEN: 23 AUG 2013. 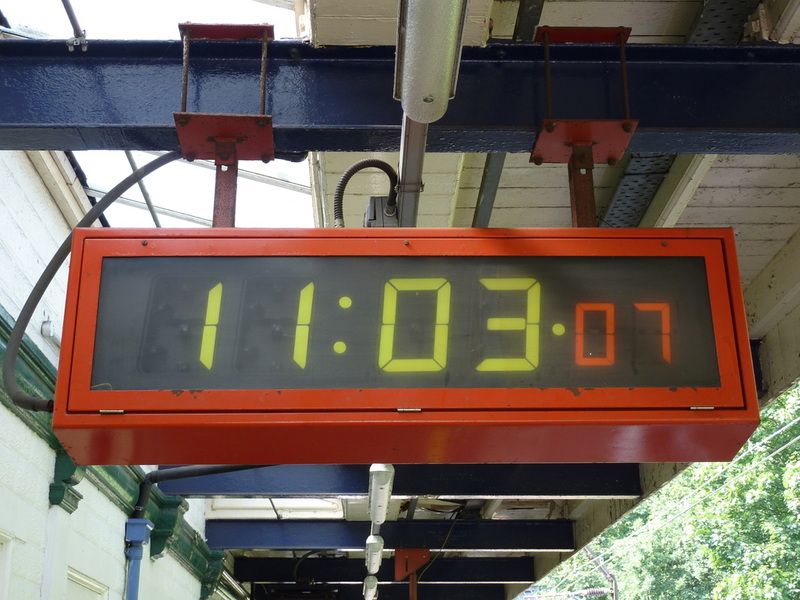 NSE Clock at Gidea Park Station. PHOTO TAKEN: 23 AUG 2013. 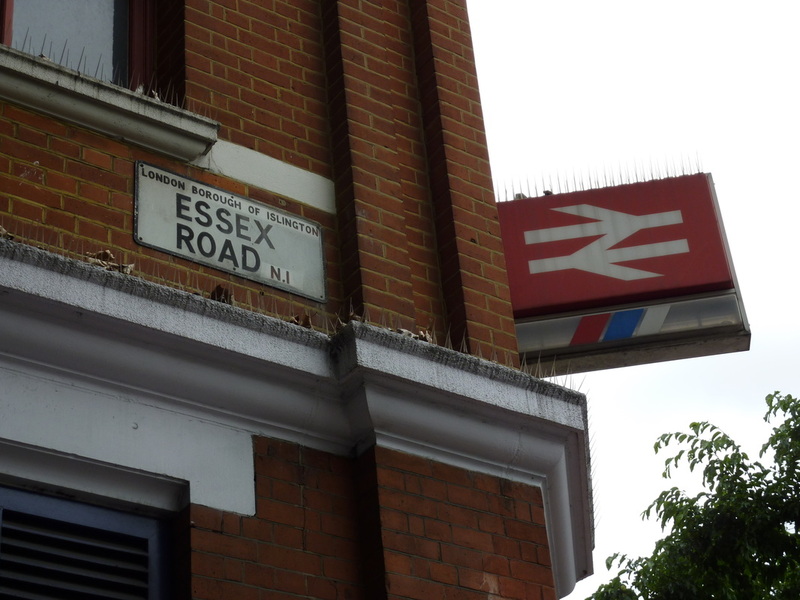 This Kent Signal Box located on Ingram Road has retained its 'Network SouthEast' name plate sign. 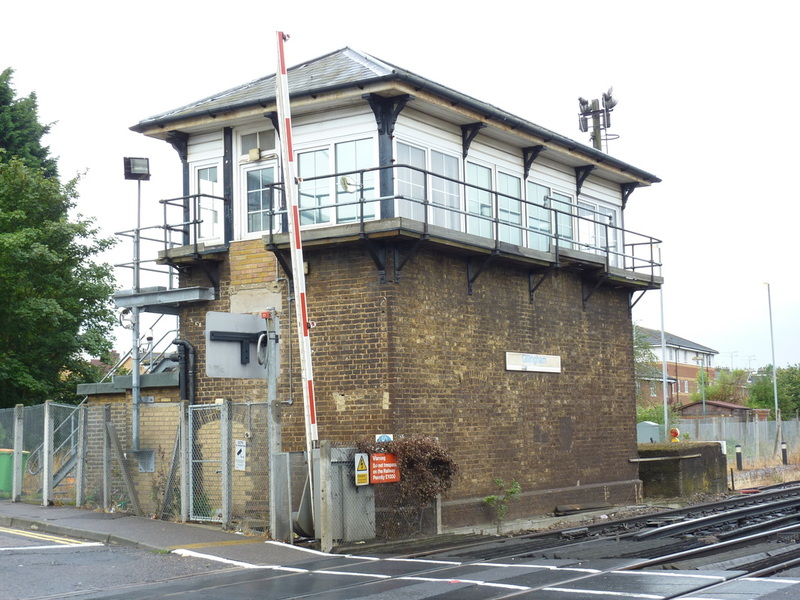 Gillingham Signal Box. PHOTO TAKEN: 22 AUG 2013. Network SouthEast survivor at this station. Located outside on the B117 Goodmayes Road. 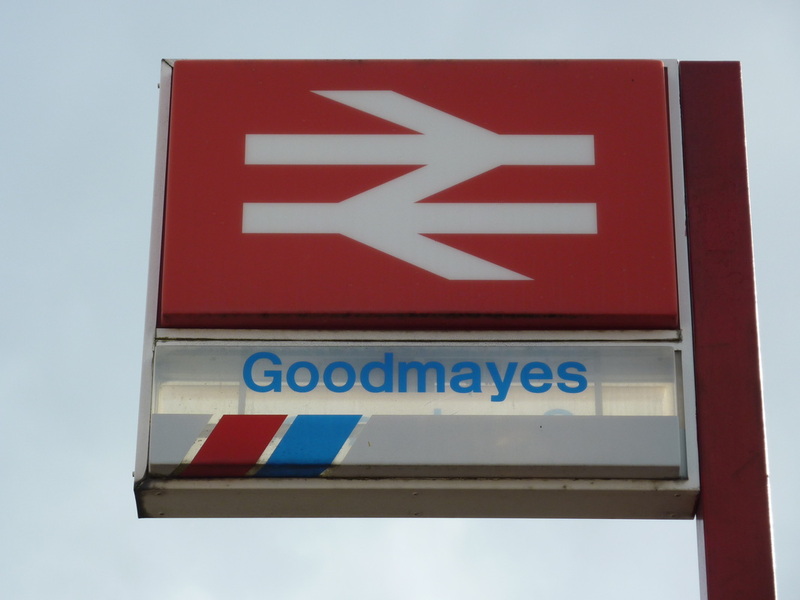 Goodmayes Station Sign. PHOTO TAKEN: 25 SEP 2013. Network SouthEast's presence is still remembered at this now First Capital Connect station. A mix of signs feature at the station including former operator WAGN. 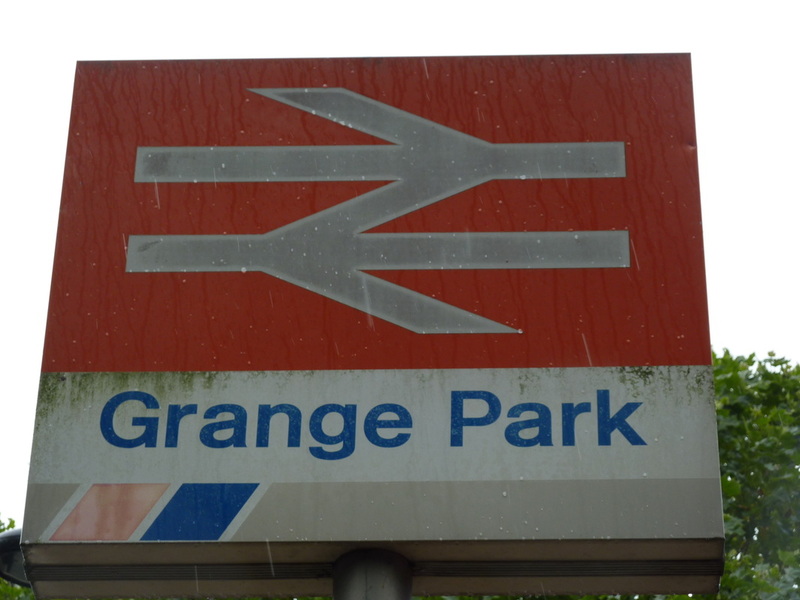 Grange Park Station Sign. PHOTO TAKEN: 25 SEP 2012. 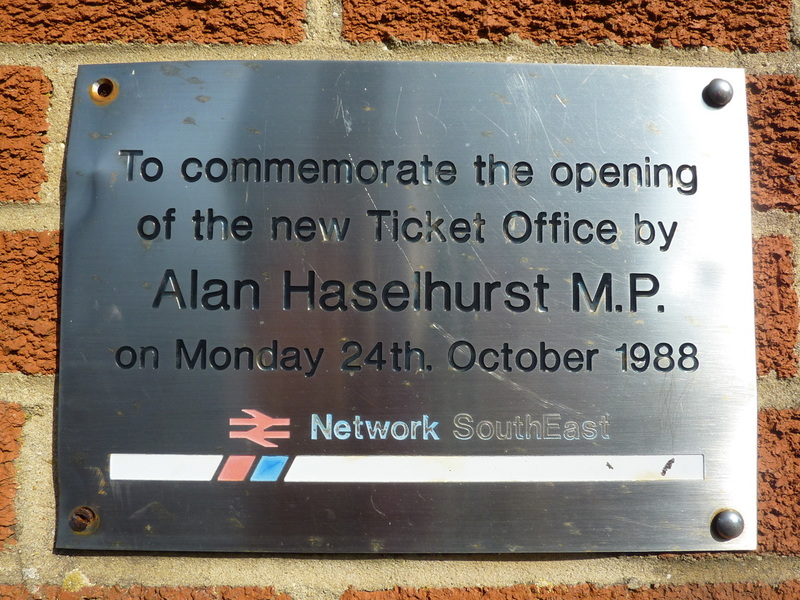 A commemorative plaque can be found here on to mark the opening of the new Ticket Office in 1988. Great Chesterford Station new Ticket Office plaque. PHOTO TAKEN: 01 JUN 2014. 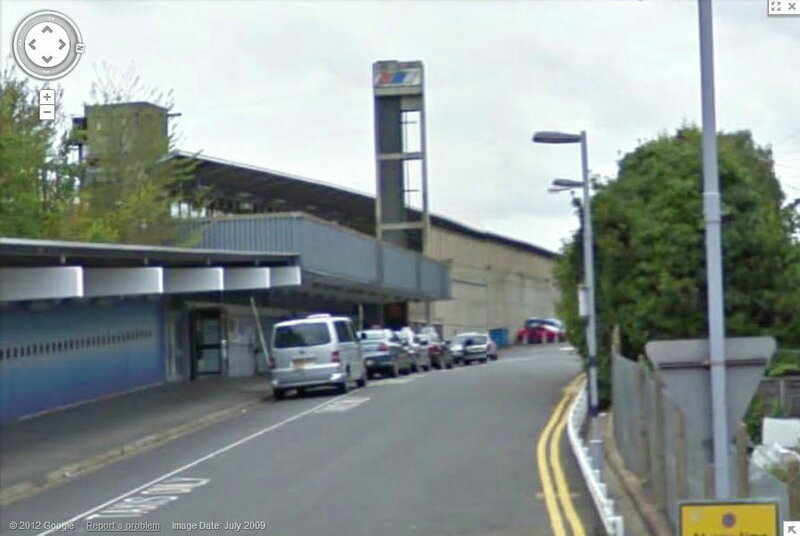 ​for this Kent Station in 2009,. 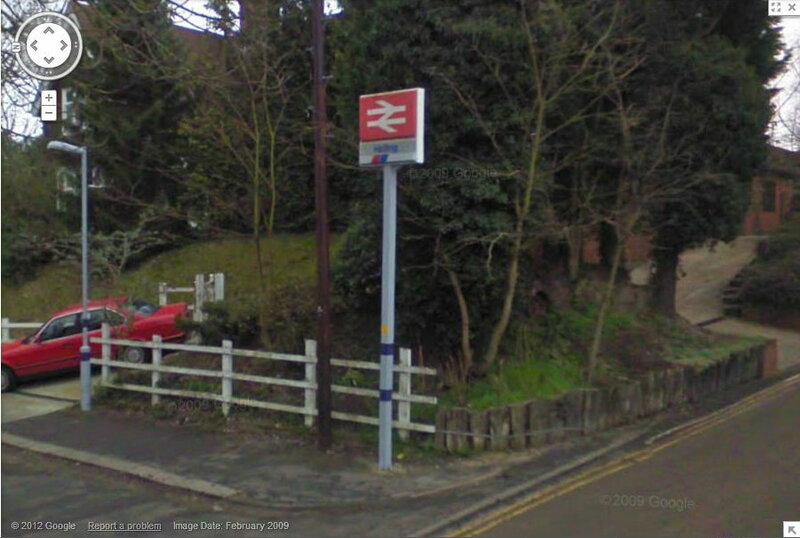 'Halling Station' sign, captured on 'Google Streetview' in FEB 2009. The NSE sign suffered vandalism in 2012. 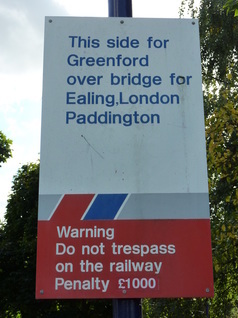 The sign has since been rebuilt. The name plate is the original NSE part of sign - with flash obscured. 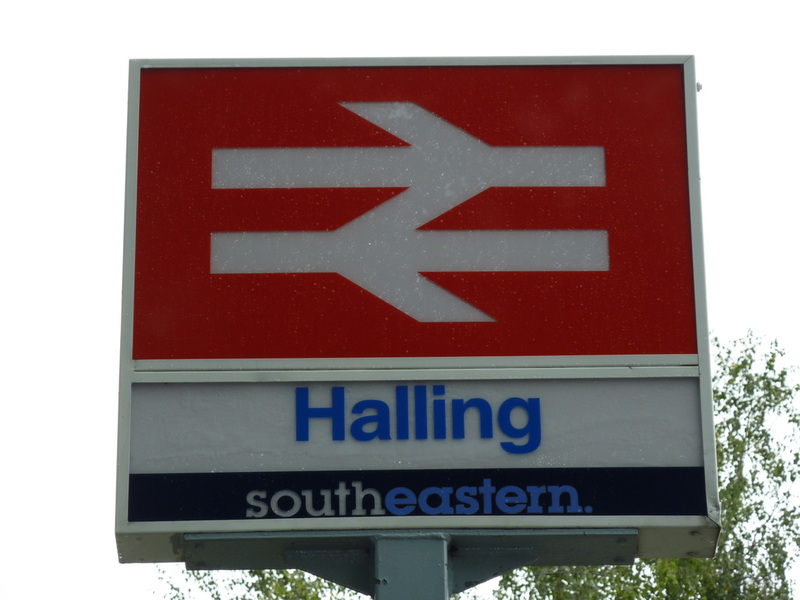 Halling Station Sign. PHOTO TAKEN: 22 AUG 2013.